Join 140,000 + sales professionals using Jill's expertise to transform their sales careers. Fill out the form to get subscribed. As an added bonus, we'll aslo send you the Sales Meeting Worksheet. Meetings are too hard to come by these days! This worksheet walks you through the 5 steps necessary to pass the first test with important accounts. 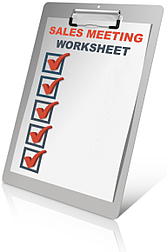 Get subscribed and the worksheet today!